The new owners of one of Covington's most famous homes will be reunited with the historic windows stolen from the property last summer. On July 29, 2014, six historic windows were removed from the house. According to a police report at the time, the estimated value was $6,000. Fast forward to May 5 and owner Victoria Wetenkamp Graef learns that the windows have appeared on eBay. 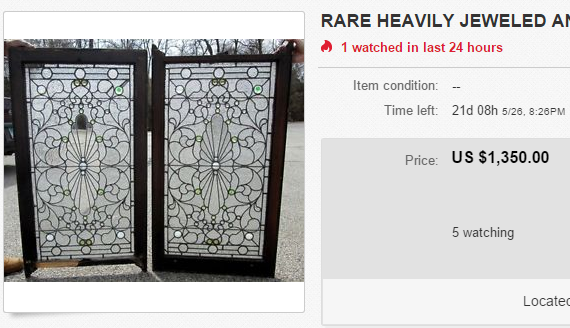 They were placed there by a Cincinnati antiques store that had purchased the windows. Whether the windows were purchased from the thief was not immediately known as it was a cash transaction, but after Covington Police visited the store this week as part of the investigation, the owner said that the windows would be returned to Graef and that the store would take the loss. "I am arranging for pick up and to have them placed in a very safe place," Graef told The River City News on Tuesday. The home is the majestic Henry Ranshaw House on the 500 block of Sixth Street in Mainstrasse Village. Named for the English immigrant who settled in Covington in the 1850's or 1860's where he married his second wife, Emma Warwood. Between his two marriages, Ranshaw had 11 children. He was a city commissioner of water works and a school trustee according to an 1887 history of Kentucky. Much of the historic structure, including its windows and front door, remain in tact. But last July, some of the windows disappeared from the property as its renovation began. The home was purchased from a bank after it had fallen into foreclosure. For months, they remained lost. Then this week, City of Covington zoning administrator (and interim historic preservation officer) Andrew Juengling received word from two different individuals that the windows appeared to be on an eBay listing. 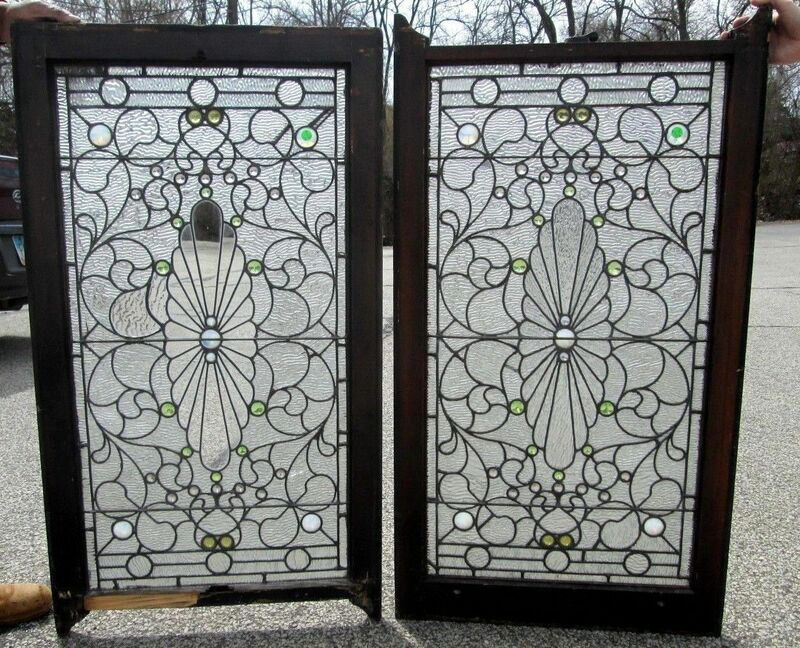 One of those individuals was Carl Fox who was browsing online for historic windows when he stumbled upon not only the ones stolen from Covington but one stolen from Newport, too. The Covington and Newport Police, along with Cincinnati Police, followed up and visited Hawksworth Manor, the Cincinnati-based antiques store that had placed the windows on the online auction site. Owner Rob Phillips said that Tuesday was the first that he learned that the windows were likely the ones stolen from Covington and Newport. "People show up every few weeks or so and usually it's stuff I'm not interested in," Phillips told The River City News. "If I'm a little skeptical, I'll send them away, but there is a flea market two blocks up from me and I think these people come up from the flea market, so it's hard to say where it's coming from sometimes." Phillips said that he may have purchased the windows from the second or third person to be in possession of them. He has requested the police report and photos from the home so that he can file a claim with his insurance, but he expects that he will have to eat the cost of the theft. In thirty years of working in antiques, this is only the second time something like this has happened to him, he said. Phillips also emphasized that he does not want his reputable business to be known for selling stolen property. "It would be pretty stupid on my behalf to put them online," Phillips said of the windows. He uses the internet and eBay to move his inventory in order to remain competitive in the increasingly difficult world of antiques. The store is located on Wilmer Avenue near Lunken Airport in Cincinnati. Meanwhile, Graef is thrilled to have the windows returned to the historic property. "I appreciate the masterpiece of this house, all the intricate details and really, it's in such great condition," she said. "The house is such an interesting home. I've traveled extensively and I just think it's the most beautiful house I've ever seen."